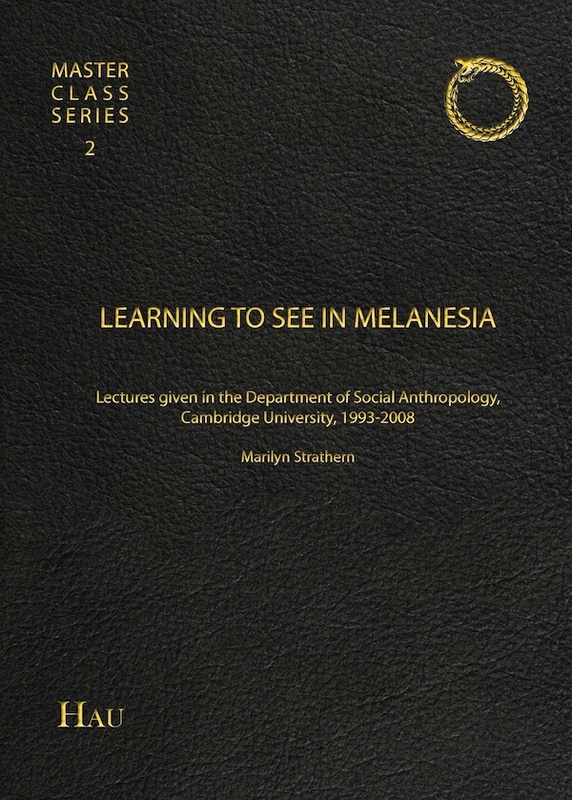 A path-breaking series of lectures on aesthetics and sociality in Melanesia, this volume presents a clear and invaluable introduction to themes in Strathernian anthropology. Marilyn Strathern is Emeritus Professor of Social Anthropology at the University of Cambridge. Her ethnographic forays are divided between Papua New Guinea and Great Britain. Over the last twenty years she has written on reproductive technologies, gender and kinship, intellectual and cultural property, and “critique of good practice,” an umbrella rubric for reflections on audit and accountability. Learning to see in Melanesia is as much a question of unlearning to see as a Westerner as of grasping what Melanesians choose to display (or, just as importantly, to conceal or banalize) and why. Strathern demonstrates that the political economy of the gaze in Melanesia focuses on the temporal and spatial dynamics of relationships of exchange. This involves a range of strategies of visualization in which bodies can be made into artifacts and objects treated as persons, or combined in various ways to figure a succession of individual or collective relational states. . . . [T]his book is a wonderful introduction to the workings of contemporary anthropology’s sharpest and most original mind. As such it will be widely read by anthropologists, but it should also be required reading for art historians and museum curators facing the challenge of ‘translating’ unfamiliar visual cultures. 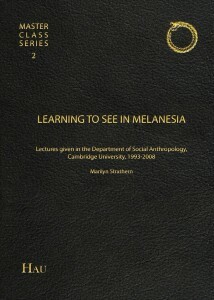 In this pathbreaking lecture series, Marilyn Strathern traces back to the topic of her first major publication, Self-decoration in Mount Hagen, and reveals some of the fundamental techniques and materials in her life-project of Melanesian anthropology. The purpose is to teach us how to see things differently; an educational rehearsal in an indigenous visual theory where the ongoing emphasis is on what to make visible and what to make invisible—in what are always multiple aspects of person and society. This is also a strikingly visual presentation of important new Hagen cultural history and Melanesian material culture, where we are being constantly reminded about the cultural contrasts in the phenomenology of perception and presentation—seeing but not picturing, displaying but not discovering, decorating but not masking, hiding but not limiting. . . .This is a very welcome, pedagogically mind-blowing introduction to the foundations of Strathernian anthropology and a priceless exercise in the new Melanesian ethnography. These lectures are a masterful illustration of ethnographic theory—and a masterful unfolding of the Strathernian theory of relationality . . . [that] follows Melanesian practices of seeing, everting them for us to present the relations of which they are made. In this theory of ‘seeing,’ which is also a theory of the person, there is no room for the fixity of the one, no room for auto-poiesis; it is relationality all the way, not down, but inside-out . . . This is ethnographic theory at its best.